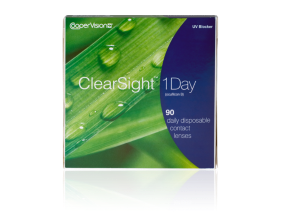 Lens Type: Daily disposable contact lenses. Package Details: 90 lenses immersed in buffered saline solution. Material and % of content: 48% ocufilcon B. Water % of content: 52%.